We went to a little far by subway this weekend. A beautiful old sign caught my eyes. This store have been here for 26 years, the owner said. 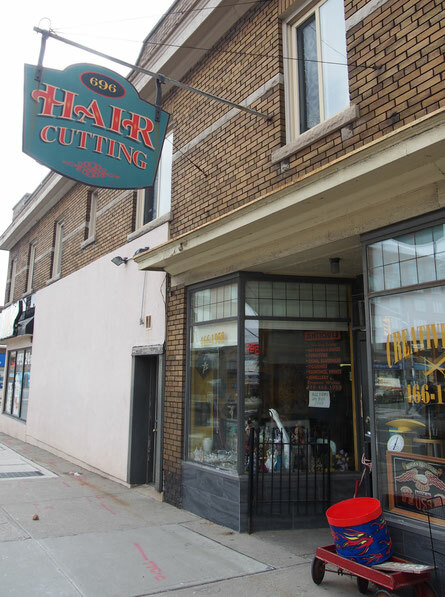 Only a chair for hair cutting and tons of vintage treasures. I felt I came far away from home.